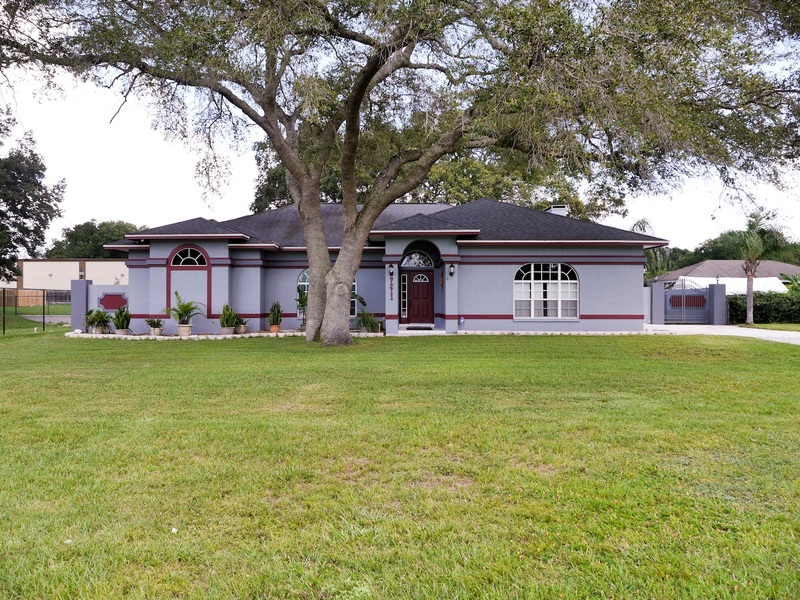 This beautiful 3 bedroom, 2 bathroom, pool home on almost 1/2 an acre of prime North Lakeland property is coming soon to the market. This beautifully maintained custom home has high, flat ceilings that give an open feel to all who enter. The rich hard wood floors in the living room and dining room are warm and inviting. The kitchen is bright, white, clean and open to the great room, making it perfect for gathering and entertaining. The secondary bedrooms are tucked away privately in this split bedroom floor plan design, and the hall bath is a pool bath with direct access to the outdoor entertainment area. The extra large garage has ideal storage space to one side and the laundry room is conveniently located off of the garage and has immediate access to the kitchen, making unloading the groceries a breeze. Finally, at the end of the day, relax in the jetted soaking tub in the master bathroom suite, or take a long shower. The outside of this home is fabulous. The home is setback from the road on the almost 1/2 an acre of land. There is a 7-foot perimeter wall surrounding the rear yard making the space very private and tranquil. The house exterior, and enter exterior wall, has been repainted giving a fresh clean feeling, and reducing the required maintenance upon move in. There is plenty of room for RV storage, boat storage and ample space in the Tough Shed to store your tools and more. The covered lanai has a pass through directly from the kitchen, which is very handy when entertaining, watching ball games or just enjoying snacks while out back. You will love the above ground hot tub - what a great place to wind down! The in-ground pool has been well maintained and the screen enclosure is in good shape. There is also a fire pit near the pool with a very cozy set of swinging seating when you want to enjoy a crackling fire. I could go on and on, however, I won't. See more picture of this home that is coming soon on Flickr now! Until this home is available on the open market, please call or text Jared @ 863-640-2246 to make sure you receive the latest information and pricing as it is made available. Focus Realty Group, KW Lakeland, helps customers list and sell or buy existing Central Florida homes. Focus Homes, a sister company, designs and builds fully custom homes in Central Florida.